Prepare for street level justice. ComicBook.com can exclusively reveal that Marvel Comics’ September variant cover theme is the Defenders, featuring Marvel’s most popular and iconic vigilantes, including Daredevil, Elektra, and Luke Cage. "Street Level heroes are an integral part of the DNA of the Marvel Universe," says Marvel Editor-In-Chief Axel Alonso. "From Daredevil to Luke Cage to the Daughters of the Dragon, some of the coolest characters in the Marvel Universe operate in the shadows, and this September, we are shining the spotlight on them with twenty riveting variant covers featuring some of the best artists in comics." Marvel provided ComicBook.com with six Defenders variants to reveal exclusively, featuring art by Alex Maleev, Jamal Campbell, Stephanie Hans, Siya Oum, Paul Renaud, and Robbi Rodriguez. Here’s the full list of titles that’ll get the Defenders variant treatment. Marvel’s street-level heroes have seen a rise in popularity since being rebranded as Defenders in light of Marvel Television’s partnership with Netflix to bring the characters to live action. 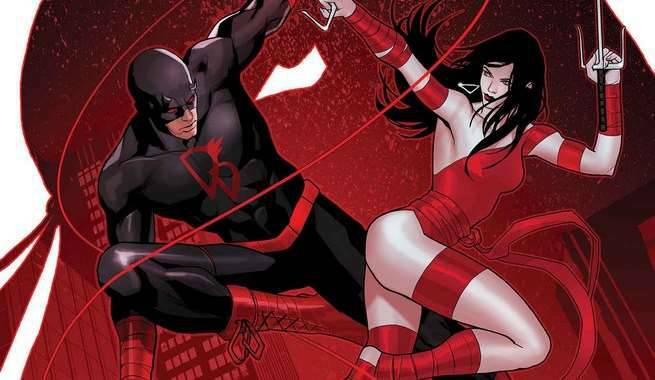 That agreement has already led to two seasons of Marvel’s Daredevil and one season Marvel’s Jessica Jones. Marvel’s Luke Cage will follow in September, with Marvel’s Iron Fist following thereafter. The four series will crossover for the Marvel’s Defenders event series. A spin-off of Daredevil Season 2 focusing on the take no prisoner anti-hero the Punisher has also been announced.